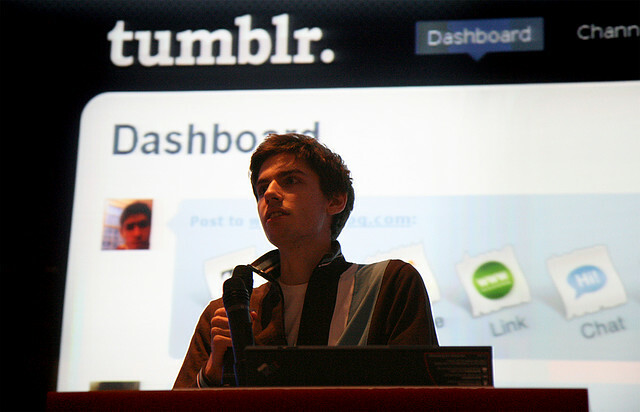 Tumblr is now available in Portuguese for Brazil and Portugal, the company announced on its staff blog today. According to the startup, this means that its platform is now available in 11 languages. Besides its interface, the startup is also launching two new staff blogs, respectively managed by its teams in Portugal and in Brazil. As you may know, continental Portuguese and Brazilian Portuguese are quite different, and local users will likely appreciate Tumblr’s decision to keep them separate. Today’s announcement isn’t a surprise; last February, we already reported that Tumblr would soon be available in Portuguese, as the company was increasingly interested in the Brazilian market. This led the startup to hire a Brazilian social media executive, Gina Gotthilf, who is responsible for preparing the opening of Tumblr’s local offices. To be fair, the interest is largely mutual; social sites are very popular in Brazil, and this is also true of Tumblr. According to comScore figures, the country is responsible for the second largest number of visits to the site after the US, and Tumblr’s local user base grew by a whopping 209% in 2011. This is quite impressive, considering that the platform wasn’t even available in the local language, and it wouldn’t be surprising to see Tumblr’s user base in Brazil grow considerably over the next few months. After all, the same happened with Facebook, and the social network is now more popular in Brazil than its long-time leader, Google’s first social network Orkut. On the grand scale, it seems that Tumblr is prepared to give its popularity an extra boost; as part of today’s news, it has announced that meetups will take place in Rio de Janeiro, Sao Paulo and Curitiba. It’s not only about Brazil either; in Portugal, Tumblr is partnering with Vice to celebrate its local launch.